Apple has announced that it will soon offer the iPhone SE in 32GB and 128GB storage capacities for $399 and $499 respectively. iPhone SE was previously available in 16GB and 64GB storage capacities for $399 and $449 respectively. The 64GB model was initially $499, but it received a price cut following the iPhone 7 launch. 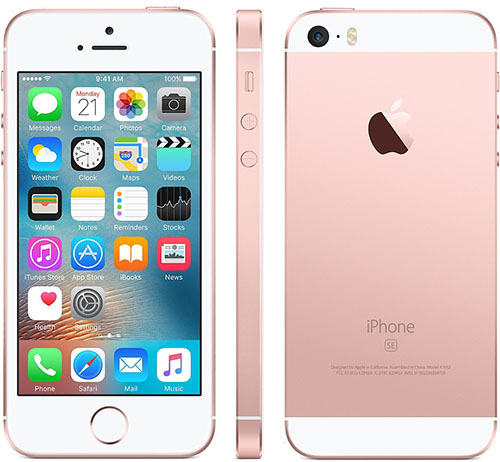 The 4-inch smartphone will remain available in four colors: Gold, Rose Gold, Silver, and Space Gray. Apple said the new iPhone SE models, which have the same tech specs, will be available online and in stores on Friday, March 24. When you look at the Mac Mini and MacPro these are huge updates. Yes, they are updates. Small updates not part of a keynote. And this was exactly what was rumored for weeks. Why are you surprised and disgusted? This is great! Goodbye 16GB! Nice to see this. The SE rocks for those wanting a small form factor. 32 GB is the new running out of storage. More memory is not an update. It may be a better value now, but it's not an update, which would involve some new technology (new to the SE). No, 128GB is $499 64GB was $449. A $50 increase. 499 for 128 really apple? Can't just replace 64 with 128 a year later? Considering no other spec bumps? And a 128 only mini4, that's appealing to mini users ? Apple considers the iPhone SE as a low-end, entry, cheaper model. And that's shocking to say the least, because the SE has rock-solid looking aesthetics, while the iPhone 6 and 7 look like sportswear items or Samsung stuff. If you show the SE and the 7 to somebody who never saw an iPhone and ask which is the luxury model and which one is the sports/teen model, people would agree the SE is the luxury, and the 7 for teens. I'm in the market for a new iPhone. It's going to be the 128GB SE, because paying a premium price for the 7 poor aesthetics which I'm already bored of, doesn't make sense to me. However, if the iPhone SE did have a high-end model with 7 specs, I'd be willing to pay the 7 price for a high-end SE.